Fingerpicking is a popular technique used in many different types of music including folk, rock, classical, and country. It is important to devote time learning the right method of fingerpicking (also known as finger style). If done correctly, you'll be able to advance your technique faster and be more efficient while playing. 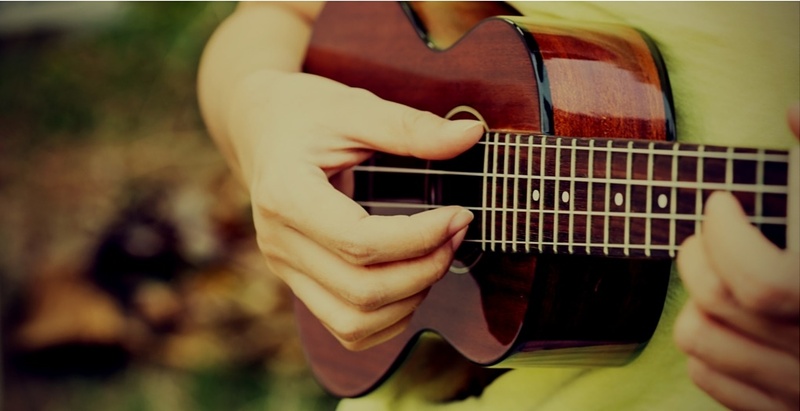 In this article we'll teach you how to fingerpick with style! It's always best to start with a quality guitar. This ensures you're learning on a guitar that you can grow with ​this acoustic guitar guide will help you find the perfect git to master your fingerpicking. How do I know if I have bad technique? The best way to determine if you're fingerpicking is following bad technique, is to ask yourself if it's easy. The easy way, and also the wrong way, is how your hand naturally plays. The natural angle of your picking hand creates two problems. ​The first problem is the angle of your picking hand. When you fingerpick with bad technique, your fingers hit the strings at the wrong angle. This will affect the sound and efficiency of how you play. ​The second problem is the angle of your arm. If you are playing at the wrong angle, you inadvertently create inefficient movements. This will prevent your technique from advancing and the ability to pick appropriately. The more time spent on learning the incorrect technique will cause more time to correct. Save yourself the headache later and read on to fingerpick properly! The below photo is an example of the proper placement when holding your guitar. You want to learn how to fingerpick the right way....right? There are a couple different techniques to properly fingerpick. Look up famous fingerpickers like Tommy Emmanuel and Martin Taylor. Let's start with some of the basics. Note: You can also skip ahead to the instructional video we've included below. You're strumming or fingerpicking arm should be at a 45 degree angle. This gives you enough leverage to pluck at the strings properly. Your arm and wrist should be kept still. This allows your fingers to generate the movement. Keep your wrist straight and avoiding bending it. In general, you want your fingers to be associated to the following strings. It's ok if they sometimes deviate from the below, but use this as a general guideline. Thumb - Plays notes on the top 3 strings (or bass notes). This is E (6th string), A (5th), D (4th) strings. Keep your fingers at a 90 degree angle. This creates better plucking power. Your thumb should be straight and at a 45 degree angle to the string. It should look like you could hold a small ball in your hand. Try not to "pull" on the strings. Pulling the strings away from the fret board will create a popping sound, which isn't ideal for this type of style. What else should I know about fingerpicking? Start out slow and steady when you are learning to fingerpick. Timing is important and will become easier the more you practice.​ Once you have the timing and muscle memory down, you can begin to work on speed. Some fingerpickers choose to grow out their nails. This is based on preference. Longer nails create a sharper and brighter sound on a higher frequency. ​If you choose not to grow out your nails and pick with the top pads of your fingers, you'll produce a more mellow sound. ​Brushing is another guitar playing technique. Instead of picking with the tips of your fingers, you use the top of your nail. The face of your fingernail is gently brushed against the strings. At the end of the motion your fingers should be fully extended (straight) and pointing towards the ground. Now you know how to fingerpick, check out some songs to practice with. A great song to learn to play in the fingerpicking style is Blackbird by The Beatles. Watch the video below to learn how to play Blackbird. Guitar Secrets has a great step by step lesson guide to get your finger picking up to speed!